Keratin | Relaxed. Transitioning. Natural. Beautiful. Ingredients: water, quaternium-87, stearyl alcoholm, behentrimonium chloride, amodimethicone, potato starch modified, propylene glycol, phenoxyethanol, fragrance, polysorbate 20, tridecth-5, isopropyl alcohol, glycerin, tridecth-10, arginine, serine, glutamic acid, hexyl cinnamal, aragania spinosa kernel oil, coconut oil, chlorhexidine dihydrochloride, linalool, pentasodium pentetate, hydroxypropyltrimonium hydrolyzed wheat protein, benzyl salicylate, limonene, citronellol, benzyl alcohol, and citric acid. Directions: After shampooing or conditioning, spray evenly on damp hair. Comb thoroughly and style as desired. 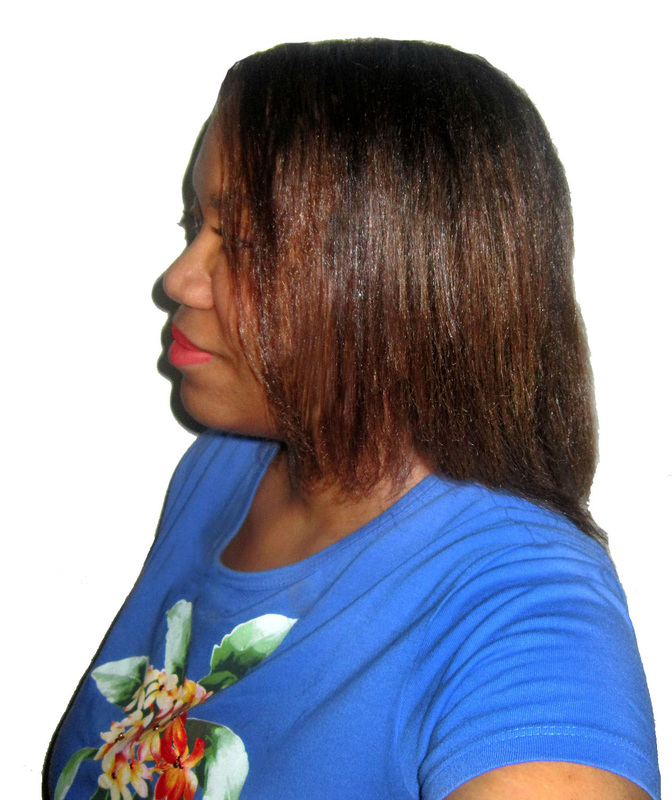 I used Softsheen Carson’s Keratin Sealing Leave-In Conditioner for the first time when I flat-ironed my hair in February. However, I thought I would see how well it worked without applying heat (i.e., as a regular leave-in). I tried several water-based leave-ins during the 12 months of my first year as a natural. Nonetheless, all of them left me feeling “underwhelmed.” They were nothing special. In fact, in all cases, I found that misting my hair with distilled water yielded me the same (if not better) results! So, needless to say, it will likely take a lot for a water-based conditioner to leave a lasting impression on me. To my surprise, this one did! This Keratin Sealing Leave-In Conditioner is listed as “Step 5” of their Optimum Advanced Keratin Whipped Creme Relaxer System. It is supposed to be one of the first relaxers to actually respect the integrity of one’s hair by preserving hair fibers’ inner strength and significantly reducing damage to hair while also protecting the health of each strand. This conditioner’s Pro-Keratin Complex claims to help detangle, rebuild strength and elasticity into distressed hair, seal in long-lasting conditioning, and provide luxurious shine. 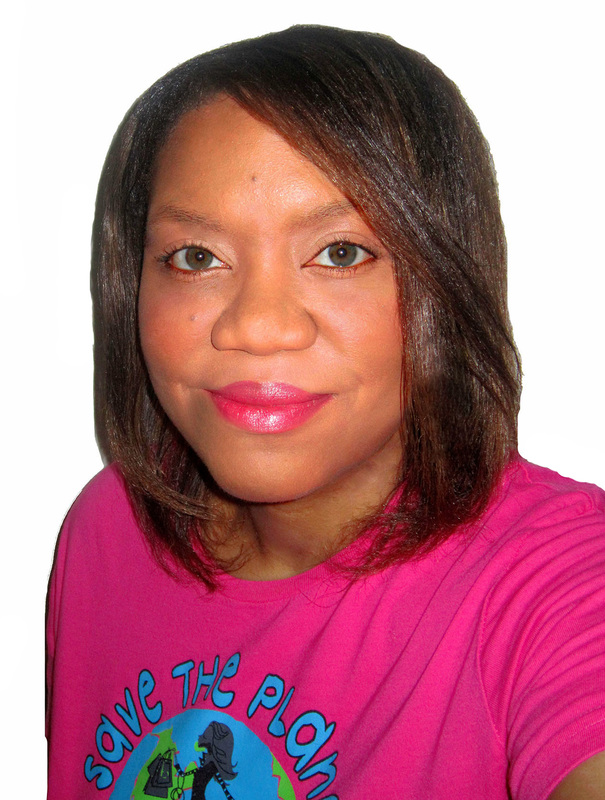 Even though my hair is no longer chemically enhanced, I thought that this leave-in would be the perfect addition to my hair care regimen when straightening my hair since flat ironing has a tendency to rob our hair of much-needed moisture. But, after reading all of the claims, I started to wonder how well this conditioner would fare as a normal leave-in on curly/coily hair. So, I decided to put it to the test. The packaging is slim and sleek, not clunky or big. I love the stylish spray nozzle. It releases a fine mist and allows you to control how much of the product you want to use in your hair. In addition, it has a lock/unlock button. So, no more accidental spills while in storage or in-between uses. As you probably already know, not all spray bottles are created equally, so I truly love the practicality of both of these features. And the smell …? Absolutely intoxicating! It smells like a mid-range eau de parfum without the sticker shock. The scent might be a bit much for some, but I rather enjoy it. This lightweight conditioner infuses a precious blend of oils (e.g., argan and coconut oils) that condition and moisturize the hair.While this leave-in offered high gloss shine, it DID NOT successfully create a barrier against humidity. However, I live in a high-humidity environment (even in winter/spring). So, I’m not too disappointed on that front since the only thing I have found that prevents my hair from overly expanding when exposed to humidity is Luster’s S-Curl No Drip Activator Moisturizer. LOL! All I did was section my hair into quadrants and lightly mist each quadrant. After that, I layered on some whipped shea butter, created several twists or flat twists in each quadrant, and donned a satin bonnet before going to bed. 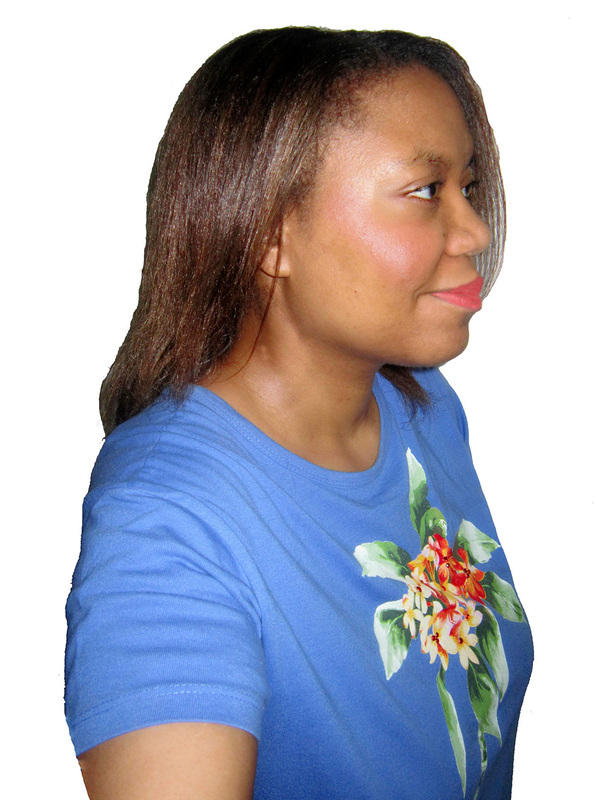 The Keratin Sealing Leave-In left my hair luxuriously soft and well-moisturized. The following morning, even after an intense workout, my hair remained hydrated and frizz-free. I’ve used this leave-in on damp and dry hair. I received great results either way. On wet hair, I used this prior to blow drying. My hair was left feeling soft and moisturized. 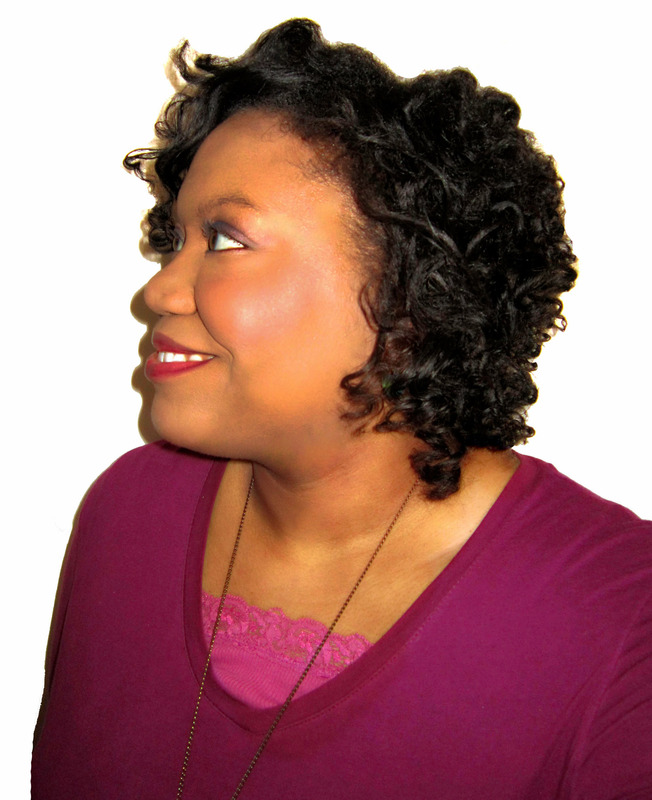 On dry hair, I lightly misted my strands to quickly transform an old wash ‘n go into the look of a blow-out. But, that’s not even the best part … I achieved a heatless “blow-out” in less than 30 seconds and with minimal hair fall. LESS THAN THIRTY SECONDS. No lie! 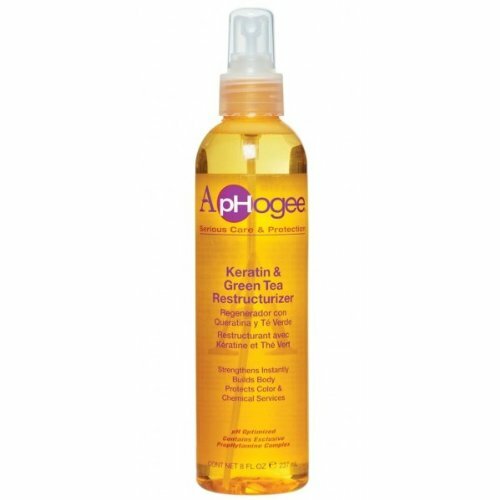 So, saying that this product makes detangling a breeze is a huge understatement! I have NEVER detangled my knot-prone hair so quickly or with such salon-worthy results. The only downside is that I feel that you have to use a lot of the Keratin Sealing Leave-In (especially on dry hair) to receive such amazing results, which means this 8.5 fl. oz. size bottle (250 ml) won’t last as long as I would like. In addition, because this leave-in is from Softsheen Carson’s Optimum Advanced Professional hair care line, it will likely be more difficult to obtain. It’s price is also a little steep; it retails for $14.99 – $19.99, depending on the distributor. But, considering this product is only one of two water-based leave-ins I’ve tried in the last 12 months (out of probably a dozen) that actually lived up to its claims, I think it is well worth the price (and the trouble of finding)! After shampooing with ApHogee Shampoo, spray liberally onto towel dried hair. Comb hair gently with a wide-tooth comb. Style as usual. Body or styling heat locks-in treatment. Recommended after every chemical service. 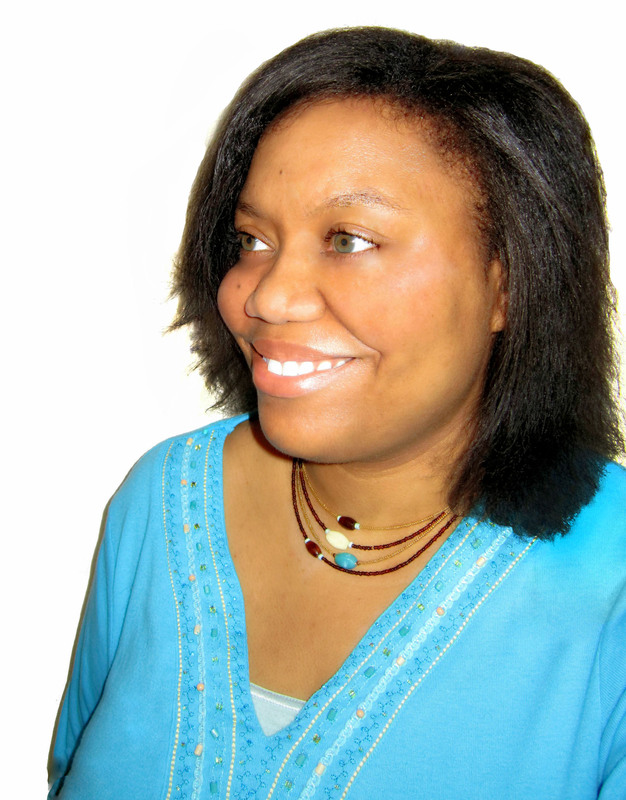 I used this product the first time I straightened my natural hair (after seven months of growth). I applied this restructurizer primarily as a heat protectant prior to blow-drying and flat-ironing my hair. After just one use, my tresses felt smooth, shiny, and silky between washes with plenty of volume and bounce. I love how this one-step, alcohol-free formula is pH optimized and has active ingredients that bond onto the hair shaft with natural body heat (or with heat from styling tools). Given my stellar results, I recently became curious how this product would work as a leave-in (e.g., without heat styling). 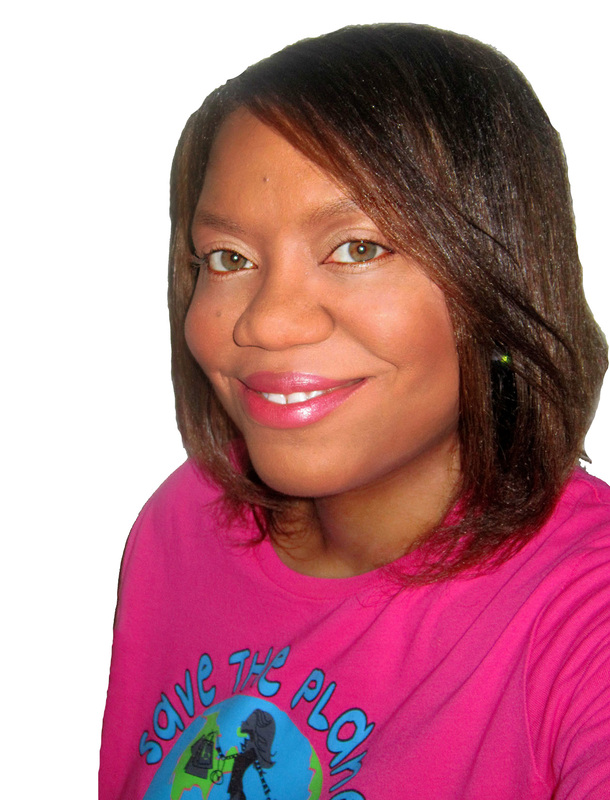 Here’s what I did … On my wash day, I followed my normal routine (i.e., shampooing, conditioning, and deep conditioning my hair). But, instead of applying a leave-in conditioner, I applied this restructurizer instead. Although I did not use any heat, it instantly seemed to both simultaneously strengthen and moisturize my hair. My strands are no longer dull or frizzy. And, my hair appears to have almost stopped shedding. Without exaggeration, I have virtually no hair fall … not in the shower, not on my comb, and not not on my bathroom floor. It seems to stop breakage in its tracks, all while giving salon results in the comfort of my home. This keratin leave-in is very light and non-greasy. I’m not entirely sure what green tea should smell like, but this smells nothing like it! LOL. This product has a very stringent, medicinal smell that is quite unpleasant. It also has a tendency to become a little tacky to the touch. But, given how amazing my hair feels when I use it, these are “cons” I can easily ignore. In addition, I’ve been told by some that this product helped them prevent reversion. While this product couldn’t produce anti-humidity results in my local, high-humidity climate, it might do so for you. I simply use this product as is on my fine, multi-textured hair. If you find that this product has too much protein in it for your hair, simply layer one of your favorite moisturizers over the top and seal in the moisture with an oil of your choice. I usually use this as a regular leave-in, add a little whipped shea butter, and then style my hair as usual. I really enjoy this restructurizer. It only takes a spray or two per quadrant of hair. Seriously. At this rate, this bottle might last a lifetime. Moreover, it not only protects my hair from heat but also makes it more manageable (e.g., easier to detangle and comb). As a result, it has made a huge difference in the maintenance of my hair and truly lives up to the hype, which is no small feat for a hair care item. My ends seem to say, “Thank you!” every time I use this, and I think that yours will, too. In fact, I think this restructurizer has just earned staple status. It has quickly wormed its way into my “must-have” stash. SHAMPOO & CONDITION. Because I have experienced several seborrheic dermatitis flare ups in the last month or two, I used my favorite product line from Aveeno: Nourish+Dandruff Control shampoo and conditioner. It’s great for sensitive scalps, as well as people with scalp conditions, like myself. I love this shampoo and conditioner because it soothes my scalp, prevents inflammation, and is still gentle on my color-treated hair! A win-win-win! 🙂 Click here for a more detailed product review. DEEP CONDITION. My absolute favorite deep conditioner is Lustrasilk’s Aloe Vera Cholesterol. It makes detangling sessions a breeze! I usually saturate my hair with the product to make sure all of my strands are coated. I gently finger detangle as I rake the product through my hair. Afterward, I cover my hair with a processing cap and sit under my hooded dryer for 20-30 minutes. Then, I rinse my hair and prep it for the next step. BLOW DRY. I spray my hair with Optimum Advanced Keratin Sealing Leave-in Conditioner. 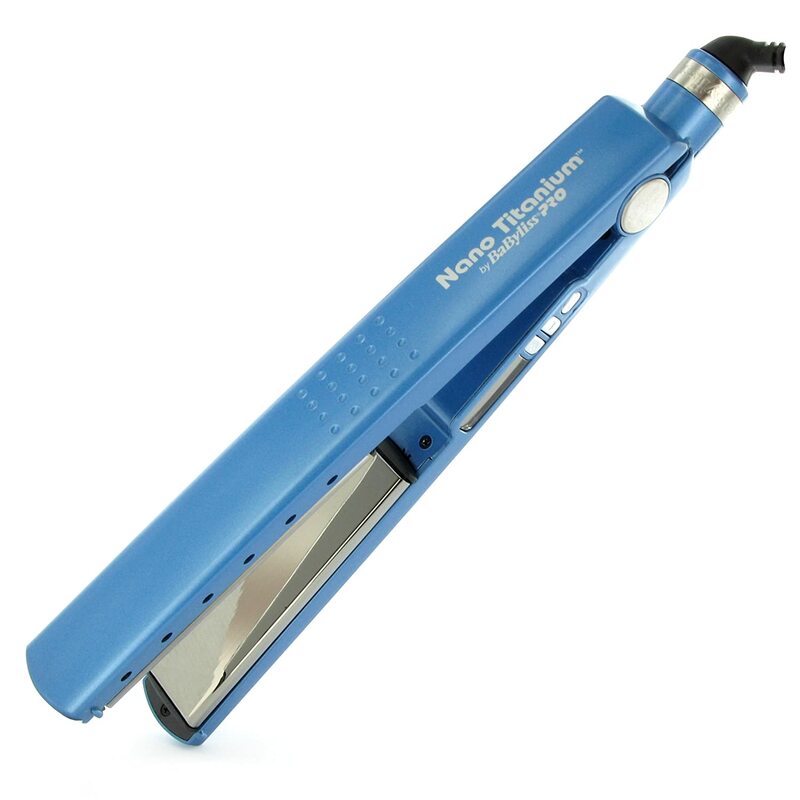 I gently comb the product through my hair and blow dry my hair with my Chi Rocket pro hair dryer on medium heat. I finish by turning on my “cool shot” button to smooth the cuticle of my hair. PRESS ‘n IRON. To further protect my hair from heat, I spray my hair with TRESemmé‎’s Thermal Creations Heat Tamer Protective Spray. I press my roots and then I flat iron my hair. I try to limit myself to two passes with my Babyliss Pro Nano Titanium flat iron, but if necessary I do a maximum of three passes. However, if a third pass is necessary, I mist my hair first with ApHogee Keratin and Green Tea Restructurizer. NIGHTTIME ROUTINE: I brush my hair to one side and wrap it around my head. I mist my hair with Julep Top Coat for hair. Then, I add a mesh wrap to keep my hair from unraveling . I secure it with a satin scarf, and top it with a satin bonnet for good measure! THE NEXT DAY: I mist my hair with Julep Top Coat for hair to prevent frizz. Then, I slowly unwrap my hair and style it. My hair remained pretty straight for two days and mostly straight for seven days. Given that the temperatures have been in the upper 90s (and beyond) with a heat index over 100, I think I received pretty good results. I “touched up my hair” once because I had an event to go to and the humidity started to swell the cuticle of my hair but, after that, I let my hair do what it wanted to do and just added some heatless curls to stretch my hairstyling capabilities. I sectioned my hair into quadrants, lightly misted my hair with water, and detangled. I applied a 50:50 ratio of coconut oil and castor oil to each section and then two-strand twisted each quadrant into one chunky twist (for a total of 4 twists). I shampooed my hair with a sulfate-free shampoo (Pravana Hydrating Shampoo). I used very warm water and then rinsed all of my hair with cold water. I used a light protein treatment (Aphogee 2-Minute Protein Treatment). I added a processing cap, left it in for 5 minutes, and rinsed it out with cool water. I wrapped my hair in a microfiber turban and let it air dry for 30 minutes. I untwisted each section and applied Softsheen Carson’s Optimum Advanced Keratin Sealing Leave-in Conditioner to each quadrant. After that I sprayed Julep’s Top Coat for hair (a heat protectant and shine spray) to each section. I blow-dried each quadrant with my Chi Rocket hair dryer. I applied TRESemme’s Heat Tamer Spray (a heat protectant) and another dose of Julep’s Top Coat to each section. I clipped three of the quadrants out of the way, parted each quadrant into smaller sections for the sake of manageability, and then flat ironed my hair using my Babyliss Nano Titanium 1¼” flat iron. I set my flat iron to 410 degrees. It took me about 2 1/2 hours (from start to finish). I originally planned to wrap my hair before bed. But, less than 24 hours later, I already started to miss my coils. LOL! So, I decided to pin curl my hair instead with Dove’s Leave-in Smoothing Cream and a little bit of my Roots of Nature Butter Whip Coil Cream (for a light hold). I added my satin bonnet and slept on a satin pillowcase for extra insurance. In the morning, I lightly coated my hair with coconut oil, and unpinned and separated my pin curls. I misted my hair with my DIY multi-use spritz and then layered on some Julep Top Coat for extra shine. I coated any stray, frizzy pieces with a dab of coconut oil, twirled the wayward strand around my index finger, and then gently released it. In these pics, my hair measures about 9.50″ long.